The search committee for the executive administrator of the Association of Extension Administrators (AEA) has offered Dr. Albert Essel, the position of executive administrator. As a member of AEA, he has served as Secretary, Vice Chair, Chair, and Executive Committee member. At the national level, he has served as an elected 1890 region representative on ECOP and ECOP Budget and Legislative Committee. Dr. Essel has extensive experience on the national APLU-Board on Agriculture Assembly (BAA) Policy Board of Directors, the BAA Budget and Advocacy Committee, and the Committee on Legislation and Policy that focuses on the farm bill. His professional experience in Cooperative Extension Programs covers more than 25 years and spans 1890 land-grant universities in three states. He has significant professional experience in education, research, and extension with 17 years of demonstrable service in Cooperative Extension leadership at the Associate Administrator and Administrator levels. 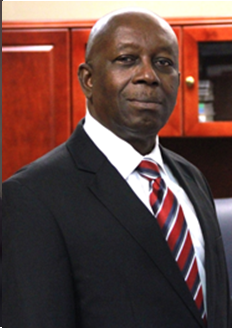 He is currently a tenured full Professor of Agriculture at Lincoln University, where he serves as Dean of the College of Agriculture, Environmental and Human Sciences, Director of Agricultural Research, and Administrator of 1890 Extension Programs. In this webinar, Dr. Breanda Wiens from the University of Florida, will describe common stress responses experienced by individuals and communities following a disaster event. Attention to the psychological aspects of disaster is a crucial element in building effective community-wide response plans, especially in rural communities that may lack many of the resources found in urban areas. In this webinar, Dr. Heidi Radunovich from the University of Florida, will provide information about best practices for providing support to those impacted by disaster. Recommendations for communication strategies will be provided, with special attention being given to the needs of specific audiences (e.g., children, first responders). Finally, a tool that is useful for working with communities after disaster, Triumph Over Tragedy 2nd Edition, will be described. Dr. Crystal Tyler-Mackey serves as a specialist in Community Viability with Virginia Cooperative Extension and as an adjunct faculty member in the Department of Human Development at Virginia Tech. She began her Extension career serving as a 4-H agent in the city of Richmond more than 13 years ago. 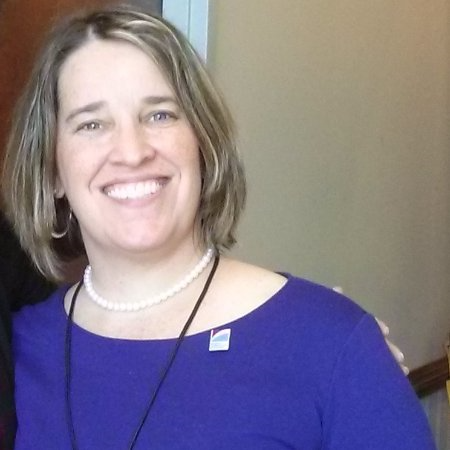 Prior to her Extension role she served as an AmeriCorps member, worked with homeless and low-income youth, and worked for a research and evaluation firm. The connectedness of front-line work in communities as well as the research and evaluation component of effective programming are what led her to Extension. She is passionate about building capacity in families and communities to support their ability to address their needs and take advantage of opportunities. As many of the challenges facing families and communities are complex and multi-faceted, addressing them requires working in an interdisciplinary fashion within Extension, and in partnership with other agencies/organizations. With a background in youth development, degrees in Family Science, 12 years of community development work, and two years serving as interim director of Family and Consumer Sciences, this is exactly how Dr. Tyler-Mackey chooses to work. Two of the critical issues that Dr. Tyler-Mackey is engaged in addressing are the opioid epidemic and food access. To address the opioid epidemic, Dr. Tyler-Mackey convened a team of Extension specialists, agents, and other partners to develop a plan and grant proposal. The team was a mix of members from the VT Center for Public Health Research and Practice, Virginia Rural Health Association, Virginia State University, VT Institute of Policy and Governance, Virginia 4-H, and VCE. Since then, the team has received USDA Rural Health and Safety funding to provide prevention education for youth at a vulnerable stage in their development, along with their families, in order to provide skills and support to make healthy decisions. The project also targets hospital patients to raise awareness about the dangers associated with the use of opioid pain medications and to provide access to support should they or a family member experience problems related to opioid use. One of the ways Dr. Tyler-Mackey is addressing food access is through Food for Long Life, a multi-state research project aimed at improving the food security of young children and their families by increasing healthy food access, consumption, and nutrition education. A community-based participatory action research (CBPAR) approach is being used in combination with intergenerational (IG) strategies to meet project goals in the Near East Side of Columbus, OH and Lynchburg, VA. The project is being funded by a $1,280,000 USDA-CYFAR and Dr. Tyler-Mackey is serving as co-PI and director of the project in Virginia. “Addressing critical issues that people deal with every day, most that are tied to poverty, isn’t easy. But I can’t imagine doing anything else,” said Tyler-Mackey. The 2018 Northeast Agricultural and Resource Economics Association (NAREA) Pre-Conference Workshop, co-sponsored by the Northeast Regional Center for Rural Development, will be held on June 9-10, 2018, prior to the main conference on June 10-12. This pre-conference workshop seeks to highlight recent advances in the economic analysis of food systems in the U.S. as well as globally. They seek papers that address individual impacts and causes as well as papers that examine system-wide interactions within the food system, including production, distribution and consumption linkages.